After making the decision to sell their house and move into a senior living community, Sue Petrovski found herself thrust into the corporate care model of elder services available in the United States. 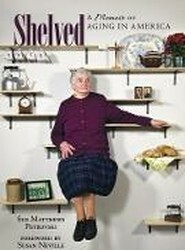 In Shelved: A Memoir of Aging in America, she reflects on the move and the benefits and deficits of American for-profit elder care. 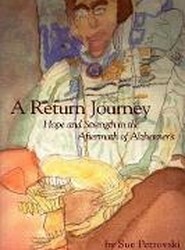 This title is the result of a caregiver's personal journals during her mother's 8-year illness and her correspondence with other caregivers kind enough to share their innermost feelings and emotions. Their stories provide the reader with an insider's view - lessons to be learned from looking through the personal peephole of family members at the heart of the experience itself. 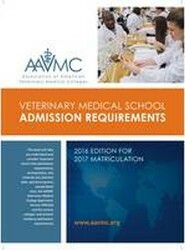 Fully up-to-date and packed with useful tips and helpful insights, this publication provides a comprehensive overview of the admission process for the national and international veterinary schools that are members of the Association of American Veterinary Medical Colleges (AAVMC). 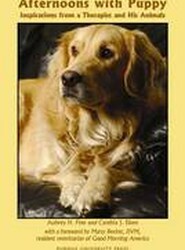 It provides hundreds of pages of must-have information, essential to becoming a veterinarian. 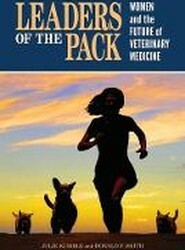 Explores key themes in leadership and highlights women in veterinary medicine whose stories embody those themes. In it, Julie Kumble and Dr. Donald Smith cull over three years of interviews to profile a wide variety of women as they share triumphs and challenges, lucky as well as tough breaks, and the sound advice and words that inspired them to take their careers in unanticipated directions. Offers a straightforward summary of leading advice for caring for someone with Alzheimer's disease, written without technical jargon and impractical nuance. 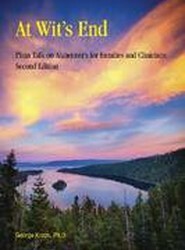 At Wit's End explains the psychiatric and psychological aspects of Alzheimer's, and does so in a holistic and practical manner. Kraus focuses on the whole person across his or her full social, psychological, physical, and spiritual life. The beloved best seller has been revised and expanded for the fifth edition. 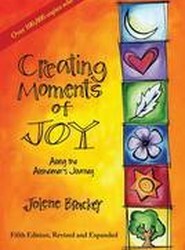 The new edition of Creating Moments of Joy is filled with more practical advice sprinkled with hope, encouragement, new stories, and generous helpings of humour. In this volume, Brackey reveals that our greatest teacher is having cared for and loved someone with Alzheimer's and that often what we have most to learn about is ourselves. By Aubrey H. Fine, Cynthia J. Eisen and Ed D Aubrey H Fine, Ed.D. Presents a heartwarming account of dynamic relationships and outcomes involving a therapist, his therapy animals, and his patients, gathered from almost two decades of ongoing practice. It is a narrative of Dr. Aubrey H. Fine's experiences and his growing respect for the power of the animals' effects on his patients and himself. 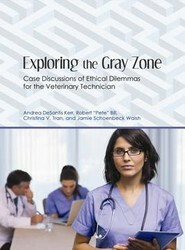 Explores difficult situations veterinary technicians face on a daily basis through the use of case examples and dialogue. Each case scenario describes a real-life situation for a veterinary technician, poses thought-provoking questions, and provides commentary that focuses on the legal aspect of the scenario, the social or personal ethics of the parties involved, and/or the welfare of the animal(s). 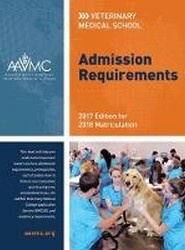 Fully up-to-date and packed with useful tips and helpful insights, this publication provides a comprehensive overview of the admission process for the national and international veterinary schools that are members of the Association of American Veterinary Medical Colleges (AAVMC). As the official guide to getting into vet school, it provides hundreds of pages of must-have information.